King of Mic 2018 – R&C Media Group, Inc.
2018 “King of Mic” singing competition strikes again! 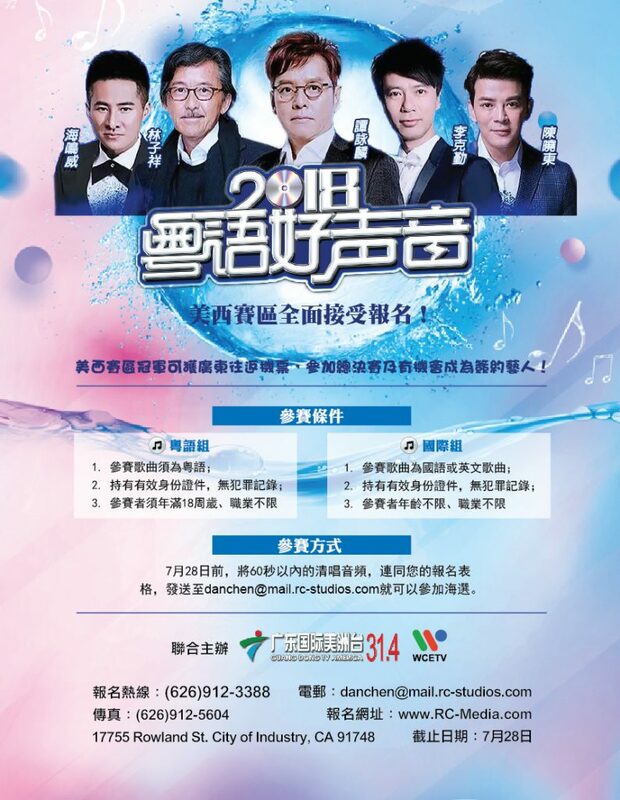 The event objective is to rebuild the confidence and influence of Cantonese Pop Music and to encourage people to learn more about classic Chinese culture. There are five divisions in total including Guang Dong, Guang Xi, Hai Nan, Hong Kong and Macau in China, plus overseas division. Guang Dong TV America and WCETV/R&C Media Group Inc. are hosts of all the activities in U.S. west. 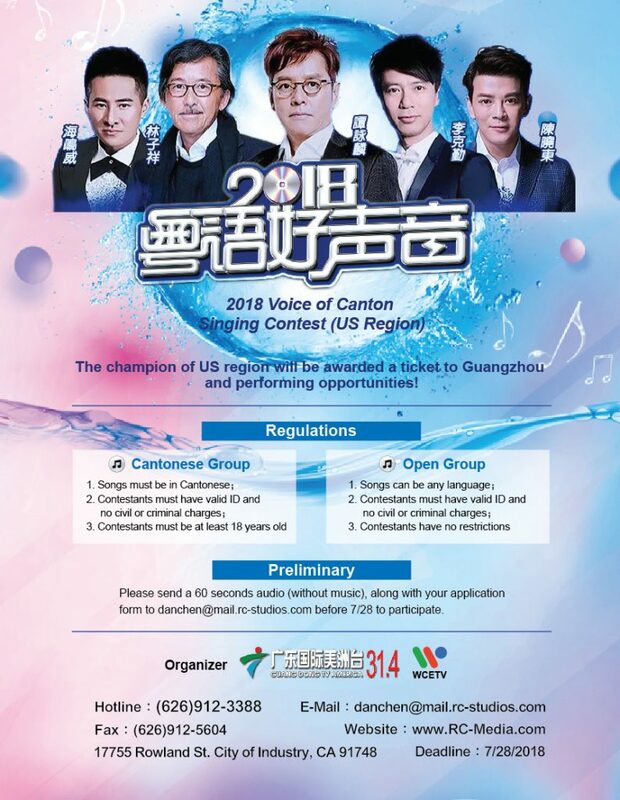 * Send a 60 second vocal audio track (without music), together with filled-out registration form to danchen@mail.rc-studios.com before August 1, 2018 to enter first preliminary.